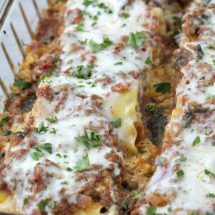 These Lasagna Roll-Ups are great for picky eaters because they are full of flavor, and lots of cheese. What they’ll never know (unless you tell) is that they are chock full of veggies too! So the other day I really wanted to make a veggie lasagna. I had zucchini, yellow squash and spinach, and I knew it would taste amazing. However, I knew there was no way my little munchkins would eat any of it if they saw those big chunks of veggies. So I knew I needed to “hide” them. And hide them I did. I used a fine grater and spent some time grating the squash down. 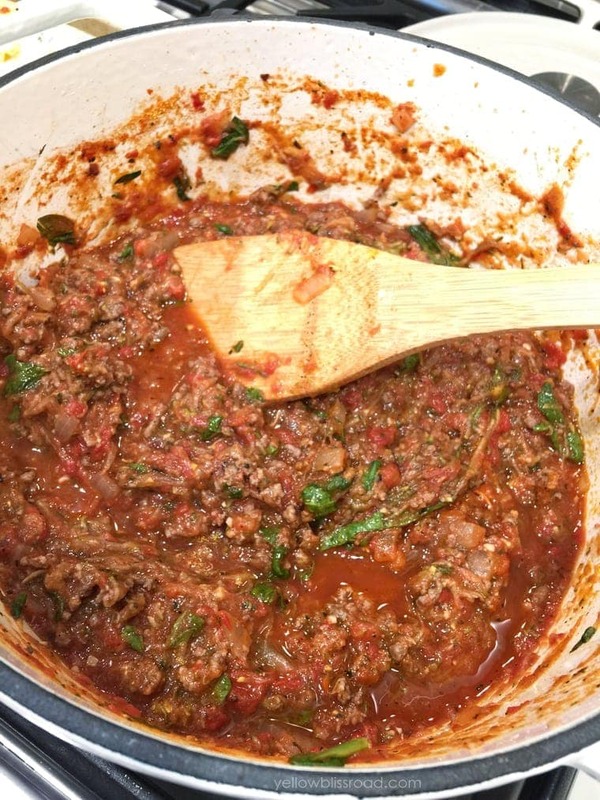 I squeezed out as much liquid as possible and then added it to my homemade meat sauce. That’s nearly two cup of veggies! 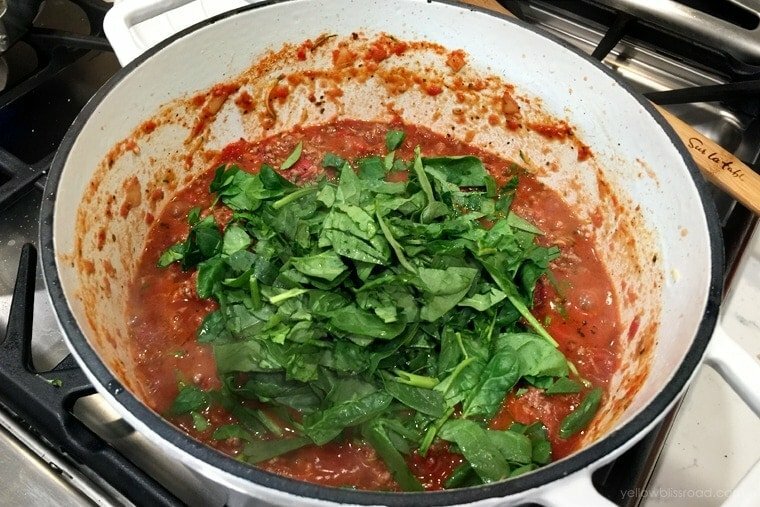 Once the sauce was bubbling I added a few handfuls of chopped spinach. Because, why not? I let it cook and reduce down a bit. 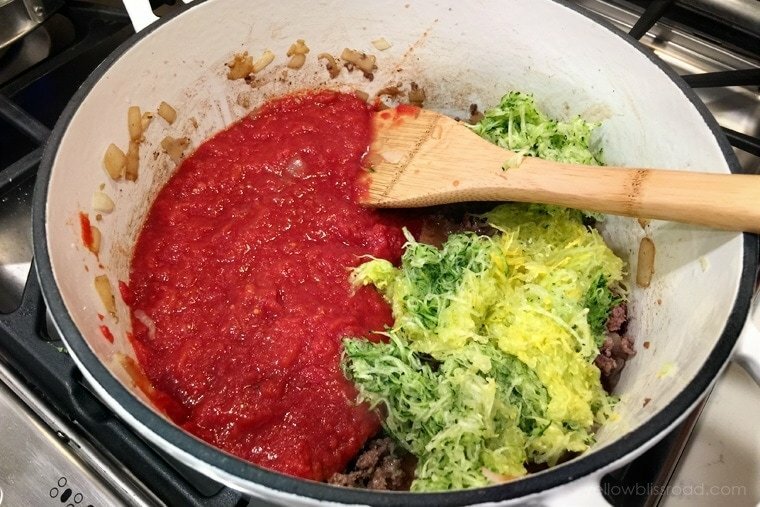 All of those veggies have quite of bit of water in them, so the reducing step is important to thicken up the sauce and keep it from being too watery. See? You can’t even see the squash! And the spinach leaves fit in and look like herbs so no one is the wiser. Next comes the fun part. I cooked some regular lasagna noodles until they were about three-quarters of the way finished. 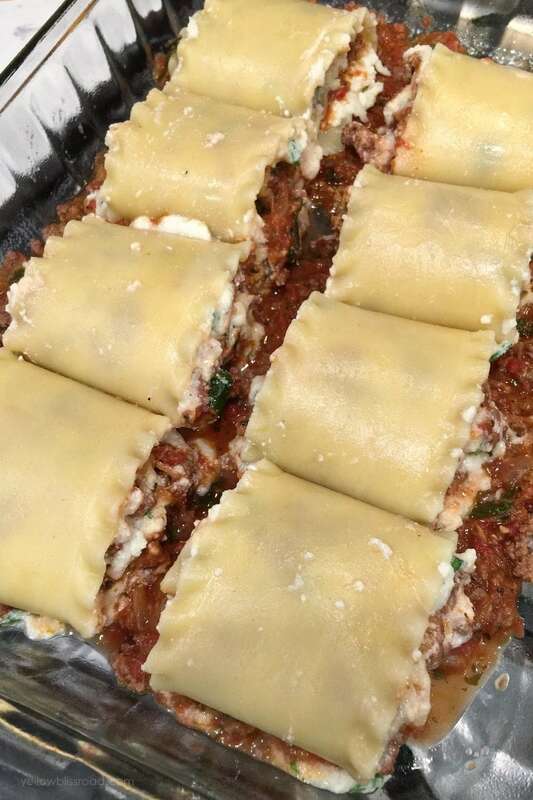 You want them to still have a bite because they will continue to cook as the lasagna roll-ups bake. 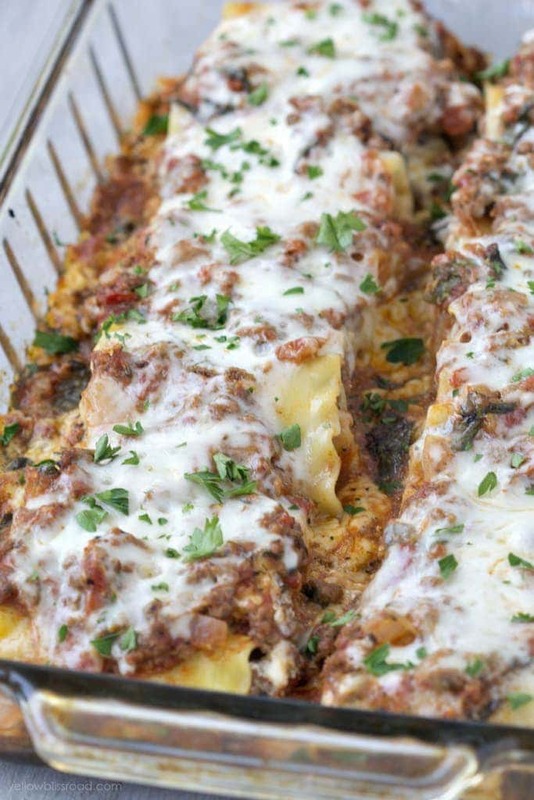 The roll-ups are layered just like a regular lasagna casserole; in fact you could make this a casserole instead if you so desired. Layer the cheese mixture, which is Ricotta cheese, Parmesan, mozzarella and parsley. Then spread the sauce on top and roll, placing them seam side down in the pan. This is incredibly easy, though it sounds more complicated than it looks. Spread more sauce on top and a whole bunch of cheese and bake until bubbly. Serve immediately and watch those happy smiles beg for seconds! Heat olive oil over medium heat in a large heavy bottomed pot. Crumble beef, add chopped onions and cook, stirring occasionally until beef is no longer pink. Add crushed tomatoes, minced garlic, basil, oregano and stir. Squeeze as much water out of the squash as possible with paper towels and stir into to the sauce. Season sauce with salt and pepper to taste then cover with a lid and simmer over low heat while preparing pasta and cheese mixture. 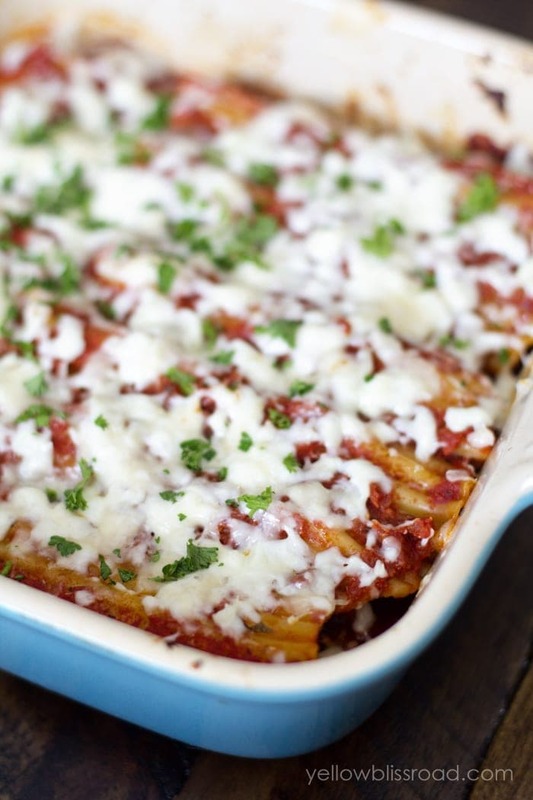 Cook lasagna noodles in a large pot of boiling water along with 1 tsp salt and 2 tablespoon olive oil to just before al dente. 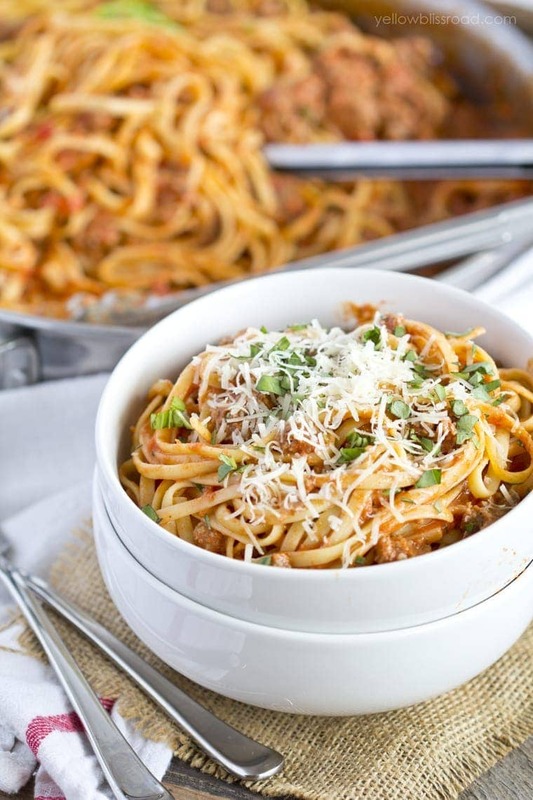 Once noodles are cooked, drain and line noodles in a single layer on waxed paper or cookie sheets sprayed lightly with non-stick cooking spray to dry. Prepare cheese mixture by whisking together ricotta cheese, egg, 1/4 tsp salt and 1/4 tsp pepper with a fork in a large mixing bowl until well combined. 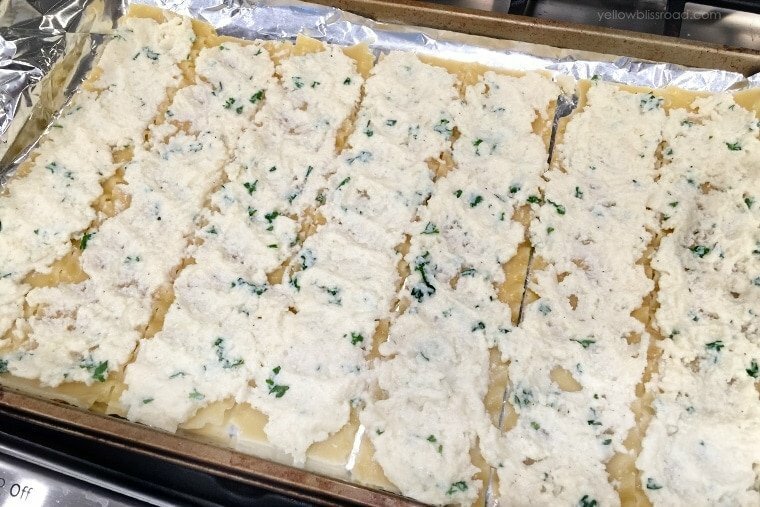 Stir in chopped fresh parsley, 2 cups grated mozzarella cheese, 3/4 cup Parmesan cheese and stir mixture until well combined. 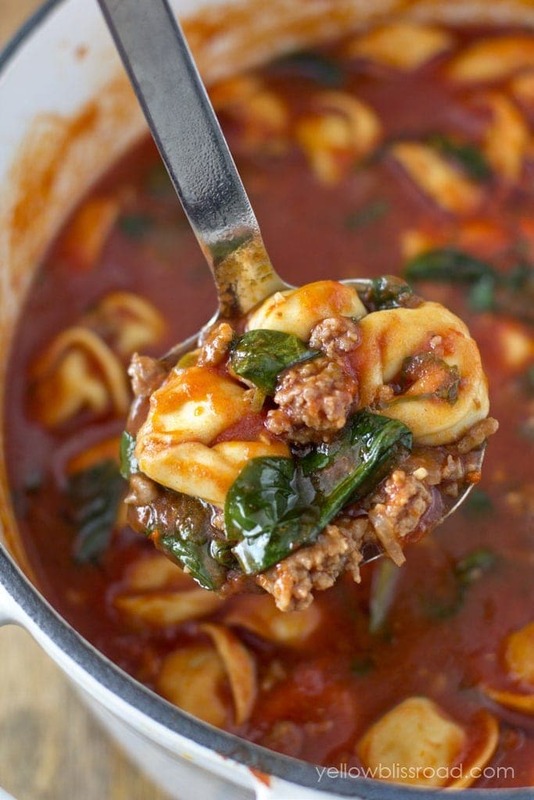 Stir spinach leaves into meat sauce and simmer for a few minutes. Stir meat sauce, then spread about 1/3 cup evenly into a 13x9-inch baking dish. 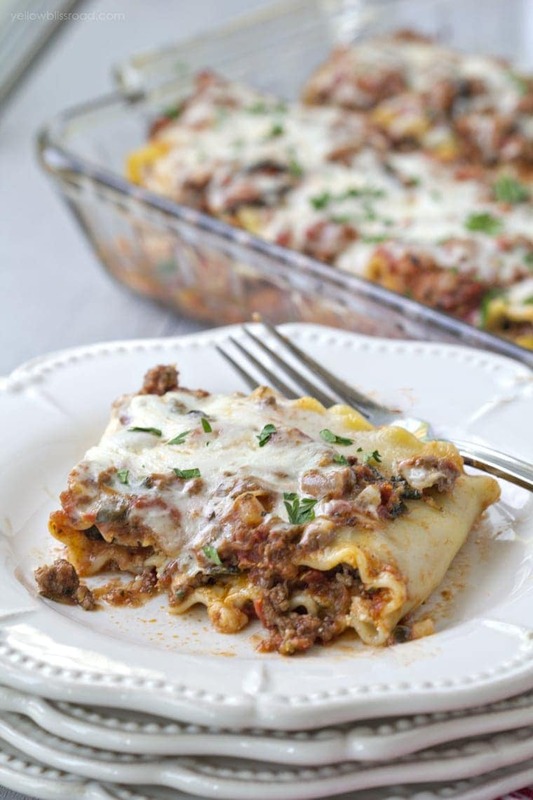 Spread 1/4 cup of the cheese mixture evenly onto each cooked lasagna noodle in a thin layer, then spread 2 heaping tablespoons meat sauce along the top of cheese covered noodle. Roll noodles up jellyroll style and arrange seam side down in the baking dish. 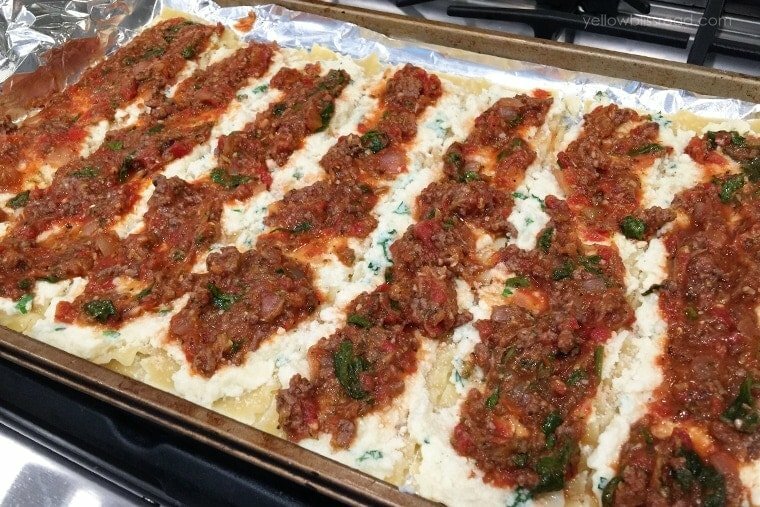 Cover rolled noodles with remaining meat sauce then sprinkle remaining 1/2 cup Mozzarella cheese and 1/4 cup Parmesan cheese evenly over roll-ups. Tent baking dish with foil (don't allow foil to rest on cheese or it will stick you just want to loosely tent to prevent the cheese from browning) and bake for 35 minutes in preheated oven. Serve warm garnished with chopped fresh parsley. 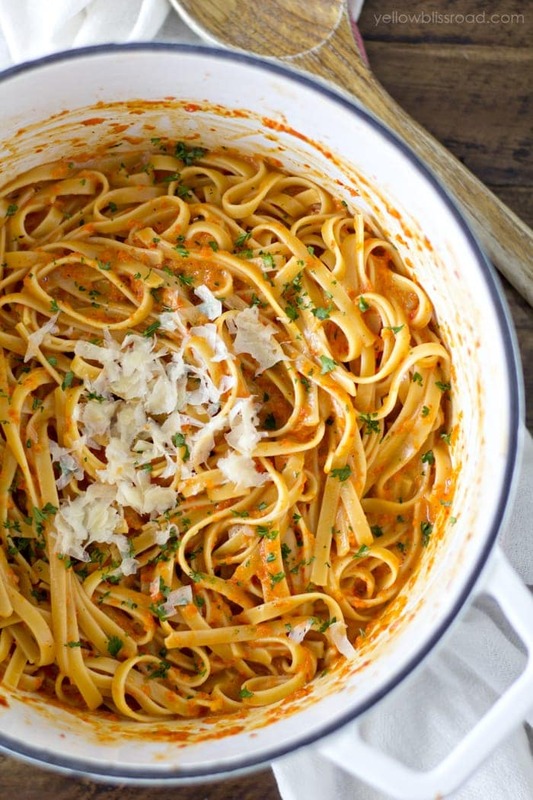 Just made this recipe and it’s awesome, especially the sauce. Only thing is, and maybe I’m just overlooking it, but I never saw in the instructions when I add the spinach. Does it go in the sauce, I assume, with the zucchini? I got to the end and realized I’d never added it. Oh gosh! I updated the recipe to include it. Thanks for the head’s up. Yes, add the spinach just a few minutes before spread it in the baking dish.